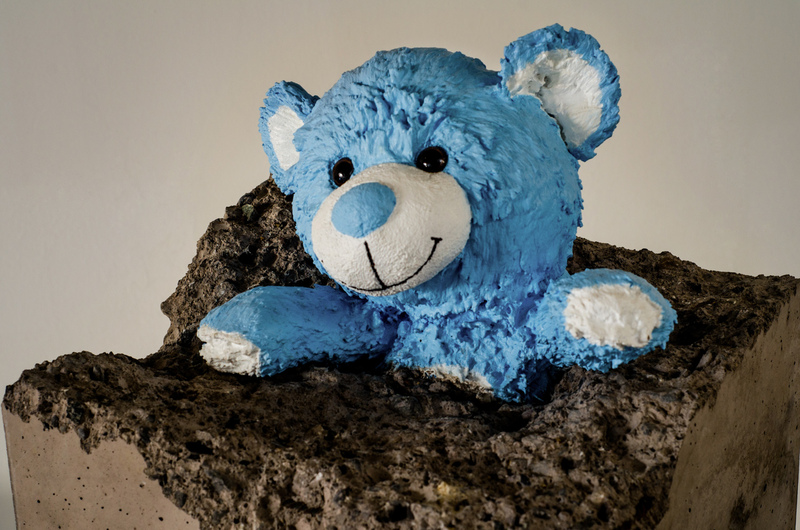 Sculpture Teddy Bears Toy I - Amarist Studio - Art&Design. 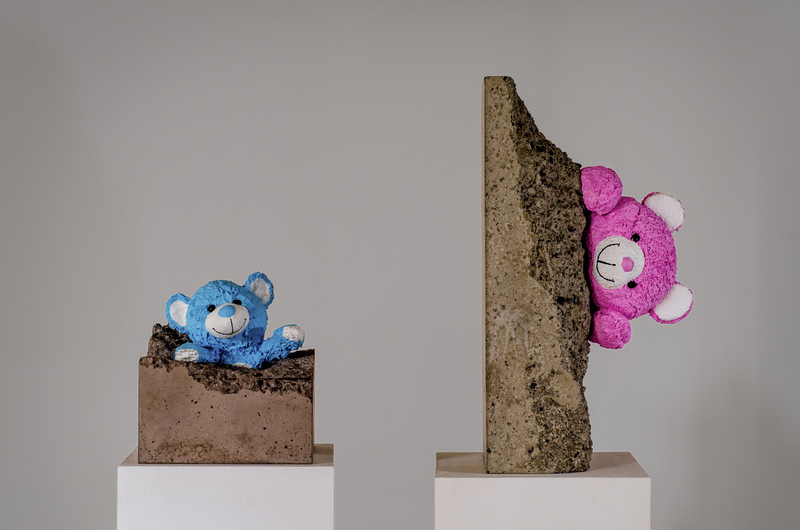 Toys is a series of unique sculptures made with stuffed animals and concrete blocks. 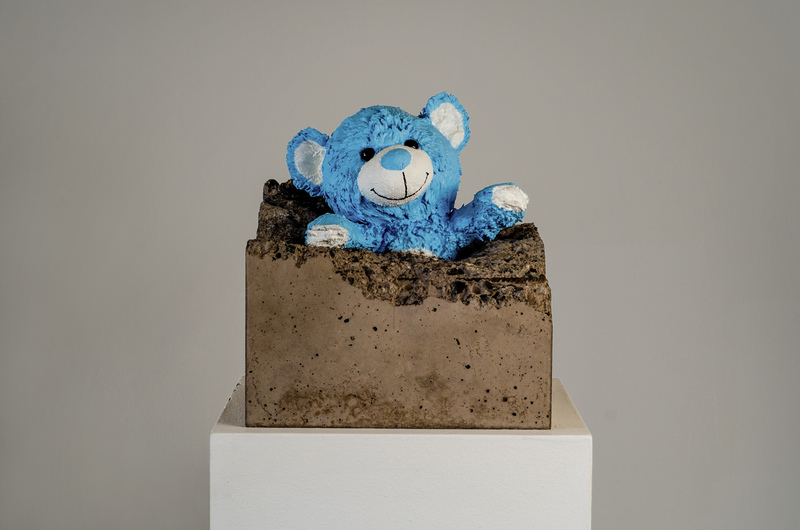 These sculptures pose a hopeful look at the rebirth from a dark time. 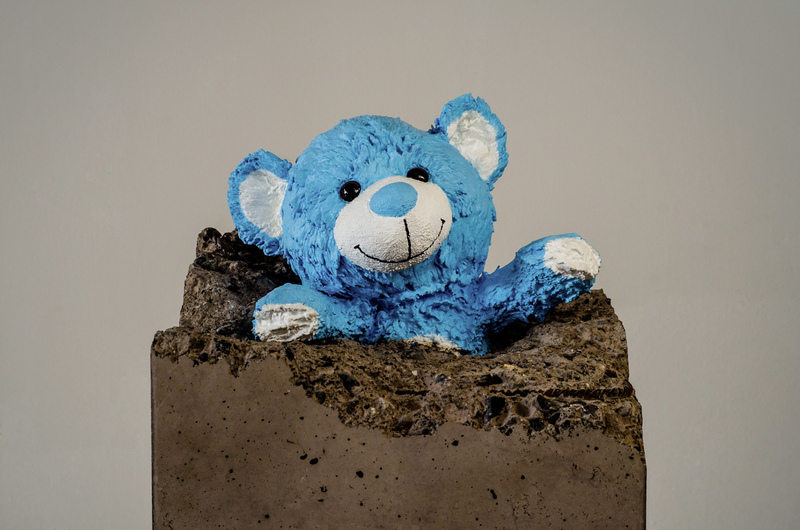 Toys that once comforted a child were buried under the rubble of a conflict. And now, they rediscover themselves from the ruins boldly, looking for complicity, preserving their innocence, and always ready to reawaken a smile. 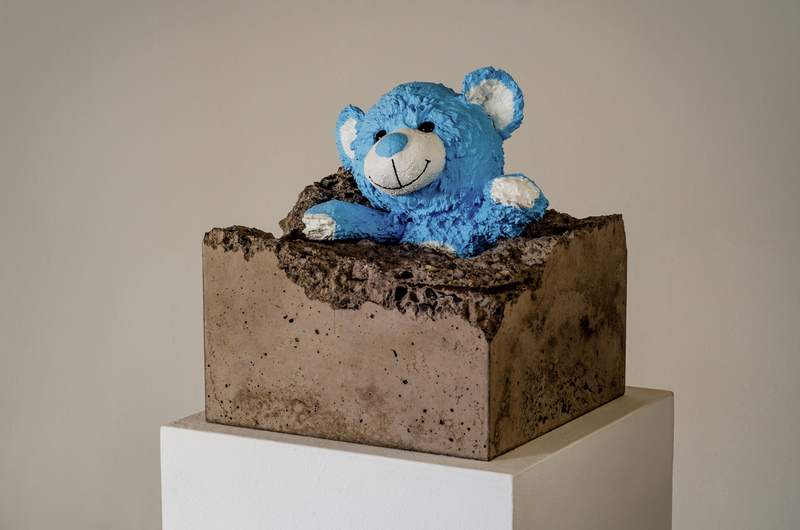 Materials: Concrete, resine, acrylic paint. Height: 33.5 cm / 13,2 in. Width: 32.5 cm / 12,8 in. Length: 32.5 cm / 12,8 in.